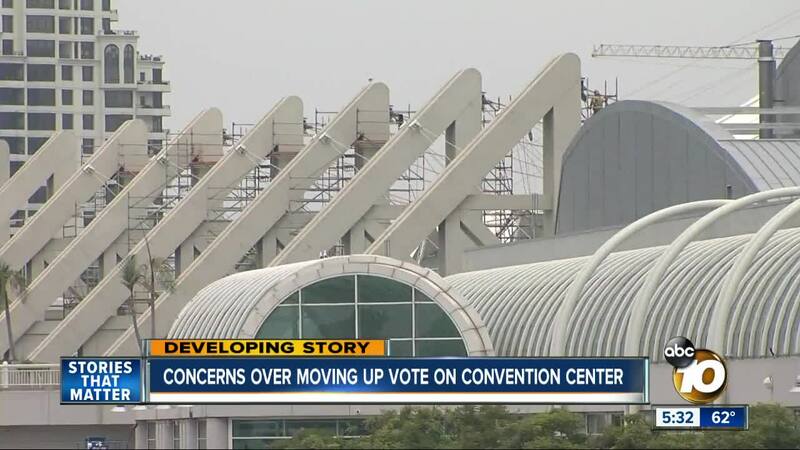 A plan to raise San Diego's hotel tax to expand the convention center appears to be headed to the March 2020 ballot. The City Council voted 5-4 Monday to formalize its intention to place the tourist tax hike on next year's primary election. The measure, called "Yes! For a better San Diego," would raise the transient occupancy tax by as much as 3.25 percent per night, depending on location. Hotels closest to the heart of the city would see the tax rate increase the most. The revenue would fund a convention center expansion, homeless services and road repair. The council was split on its decision because voters passed Measure L in 2016. Measure L called for citizens initiatives to be placed on November general elections, when turnout is highest. However, the measure gave the City Council the option to move votes to different elections if it sees fit. It is still unclear whether the measure needs a simple majority or two-thirds support. The City Council is expected to formally place the tourist tax increase on the March ballot when it calls for the election in the fall.